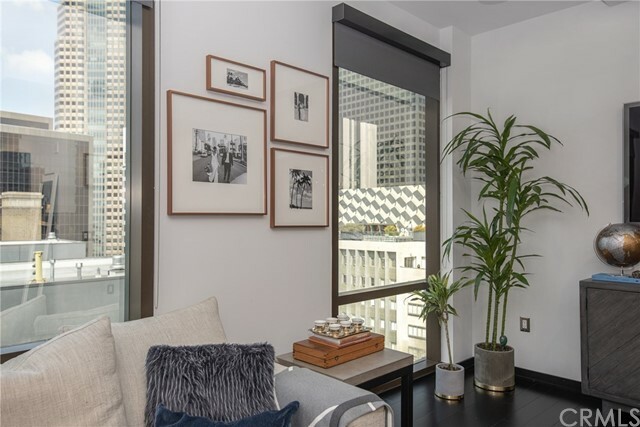 Stunning 16th floor west-facing residence, with floor-to-ceiling reflective glass windows showcasing views of the City and surrounding vistas. 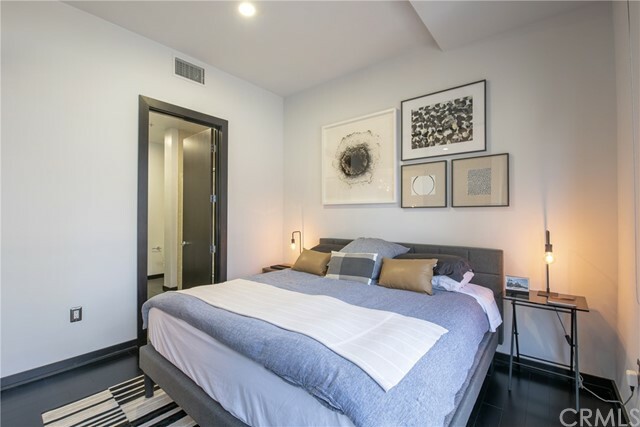 Features include an open floor plan with 10ft+ high ceilings, polished granite countertops & stainless steel appliances, tiled kitchen & dark wood floors throughout, recess lights, two full-sized bathrooms, in-unit washer & dryer and an oversized living area that can be divided to create a second bedroom. 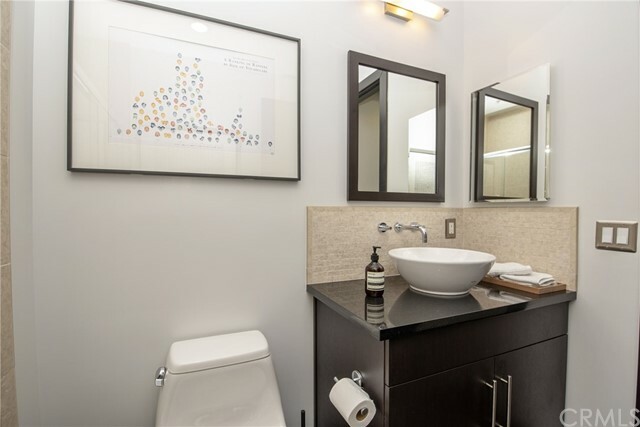 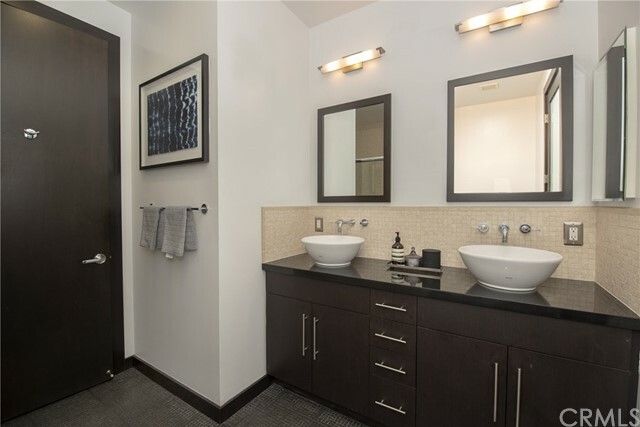 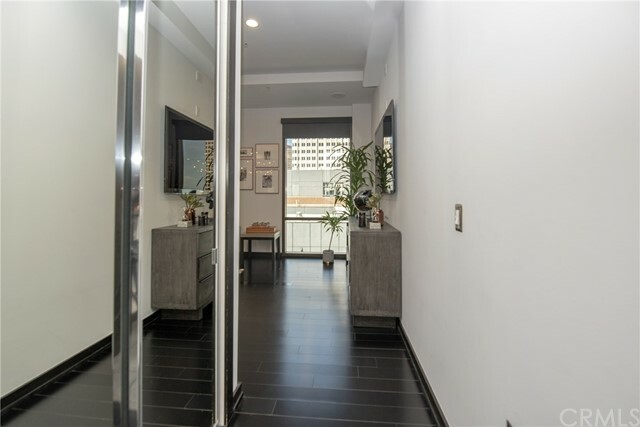 Elegantly separated by custom-made sliding doors, the master accommodation comprises of a large bedroom, a bathroom with dual sinks and a walk-in closet. 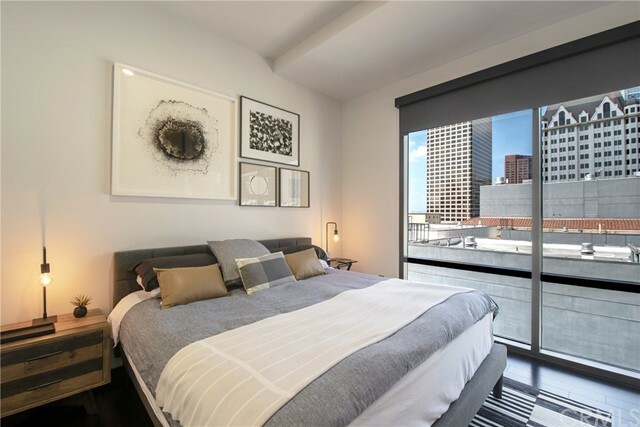 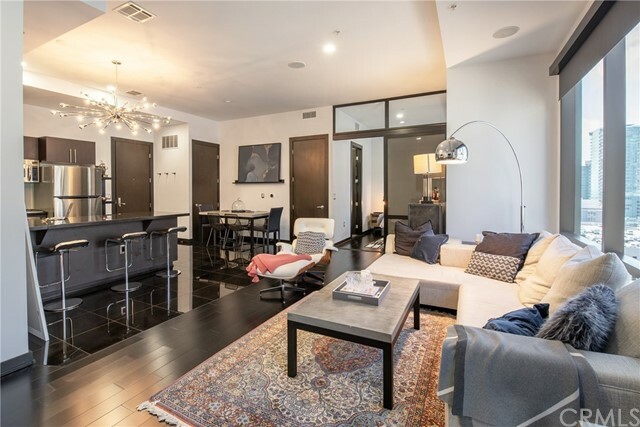 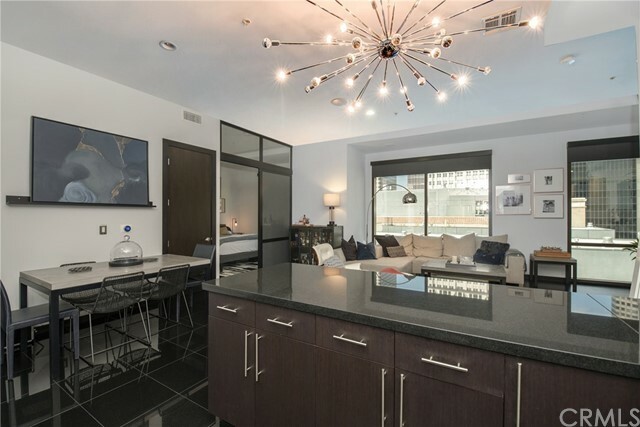 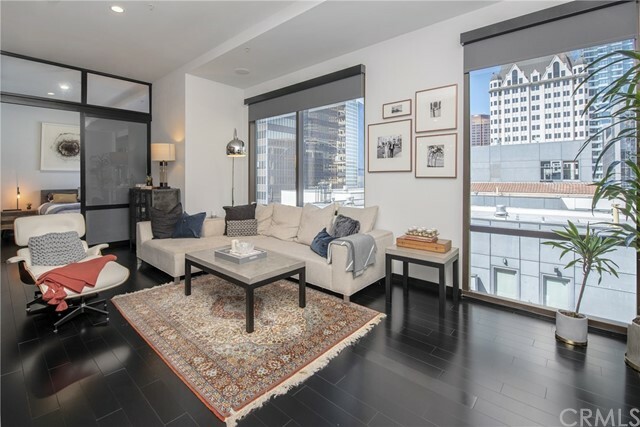 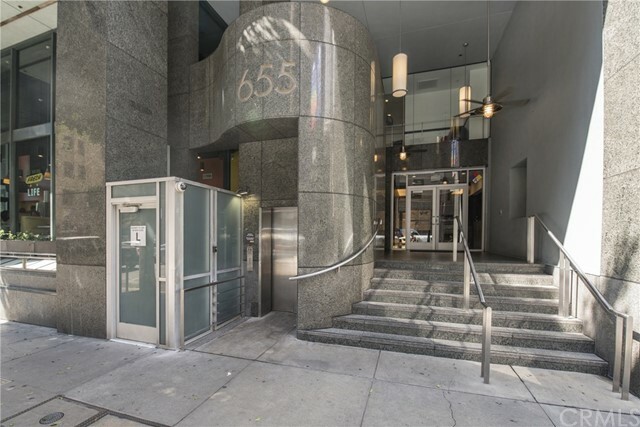 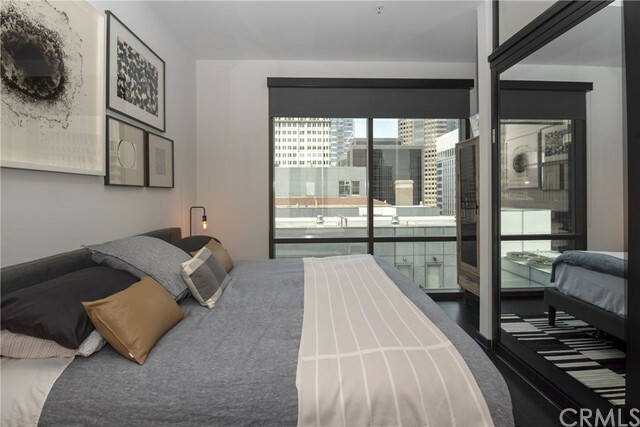 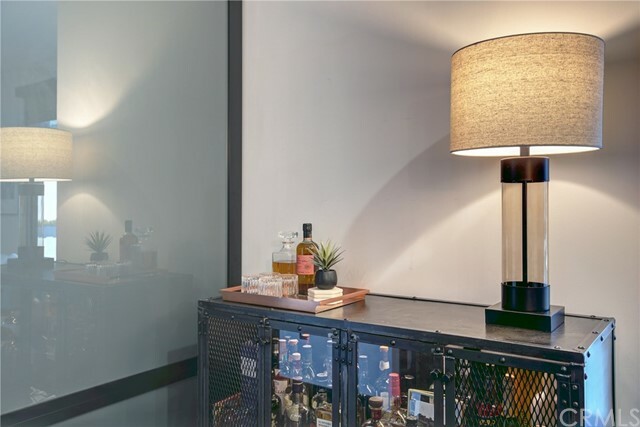 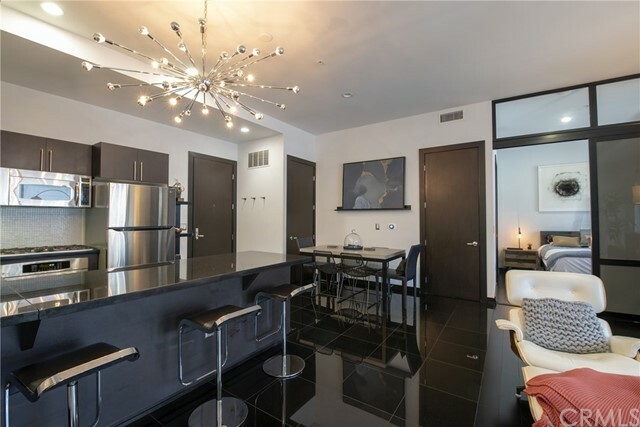 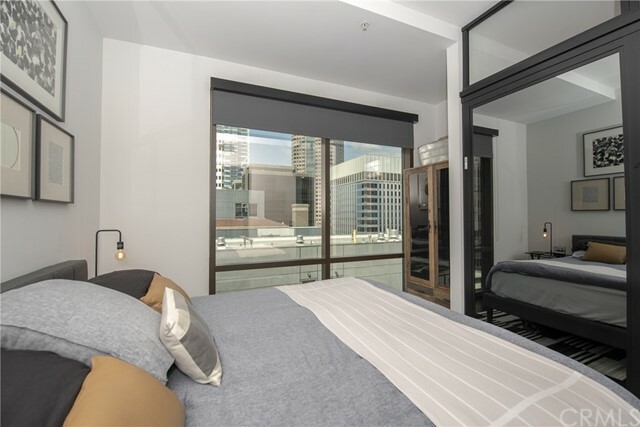 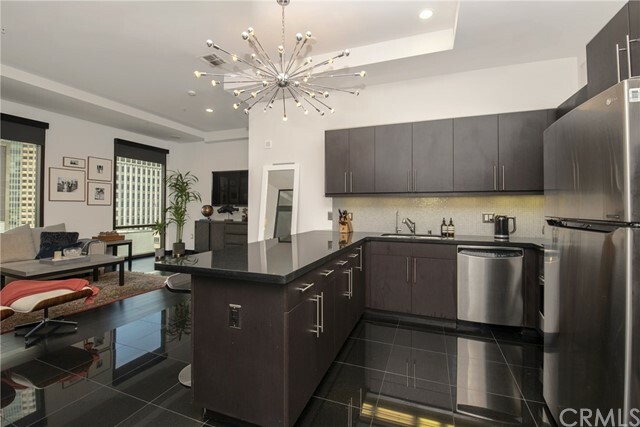 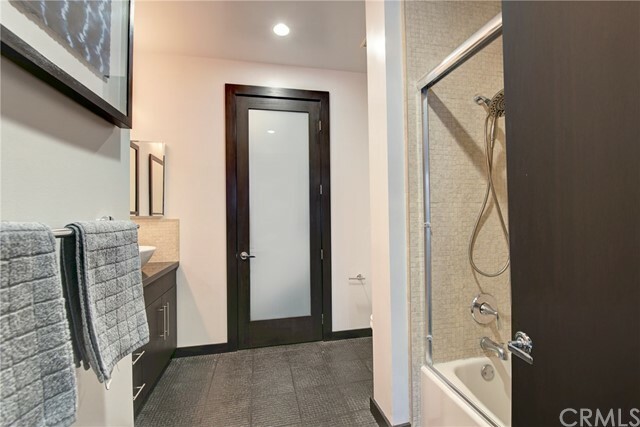 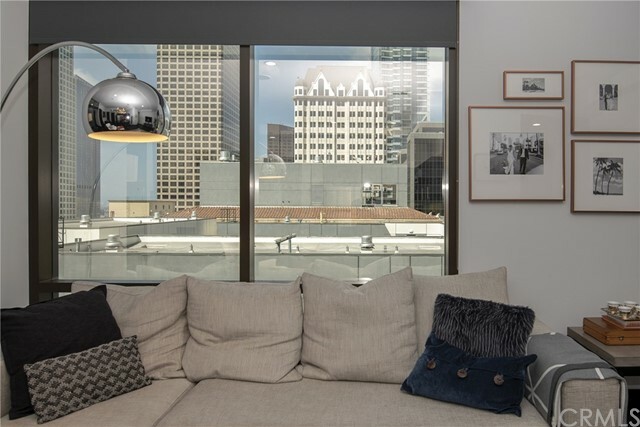 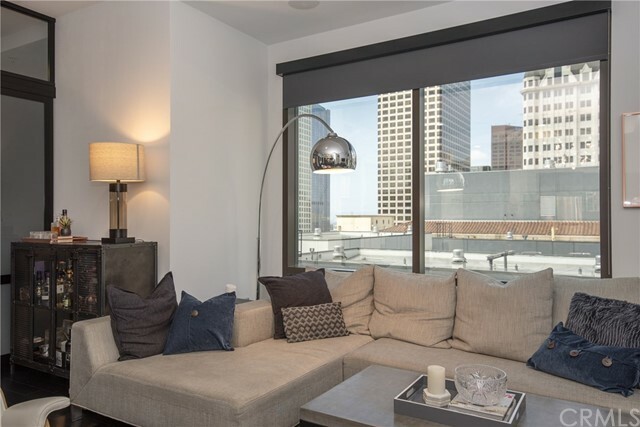 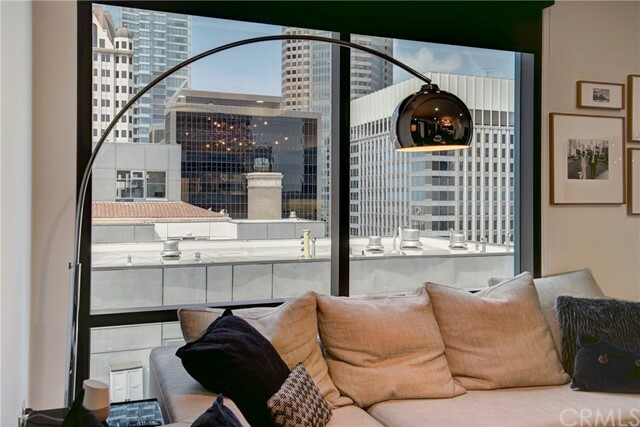 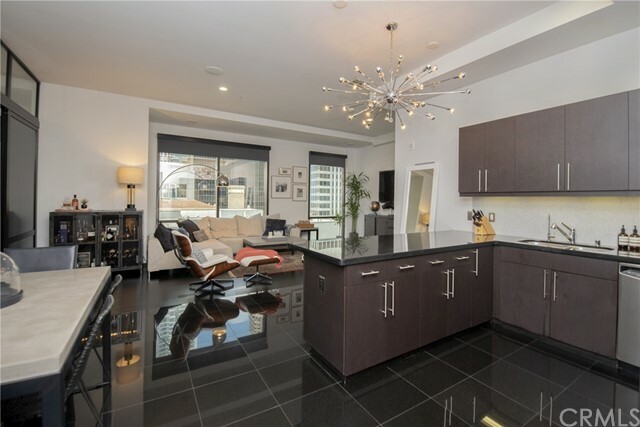 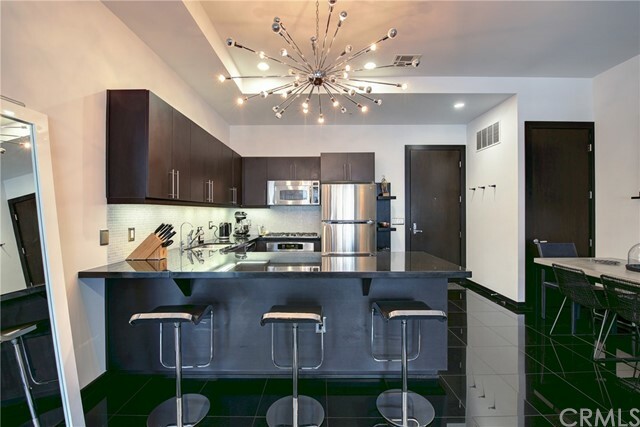 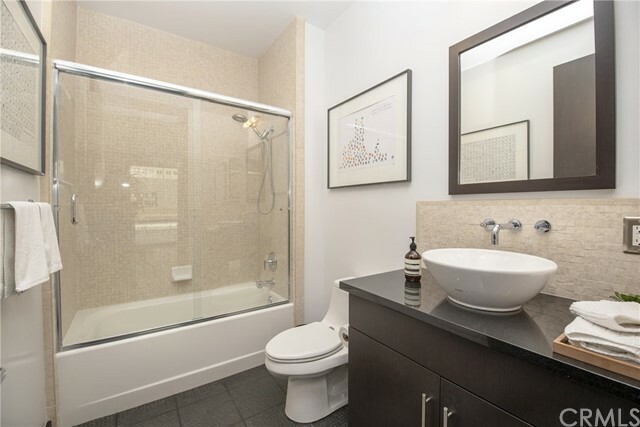 With recently installed premium black-out roller blinds, built-in Bose surround sound system, smart home connectivity (Nest thermostat, google/amazon connected lighting), drinking water filtration system and no units above, Unit 1607 is one of the best residences at 655 S Hope St. 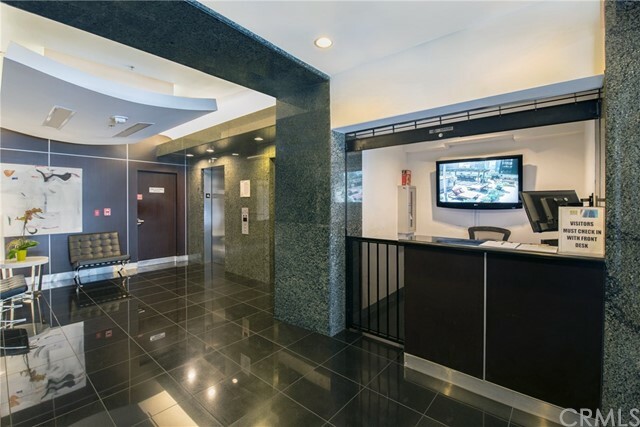 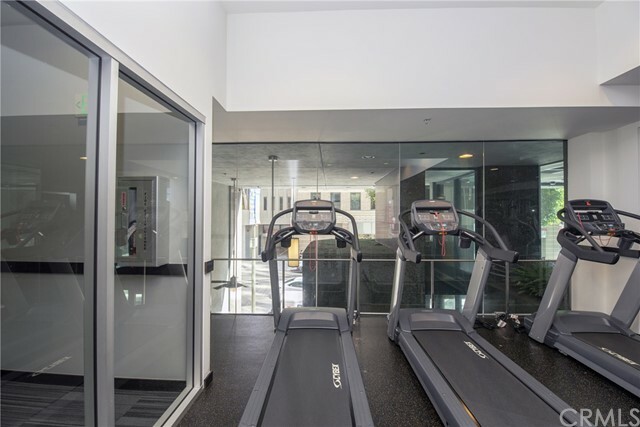 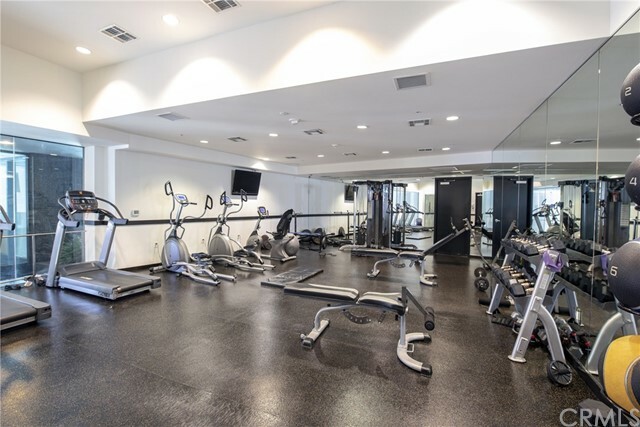 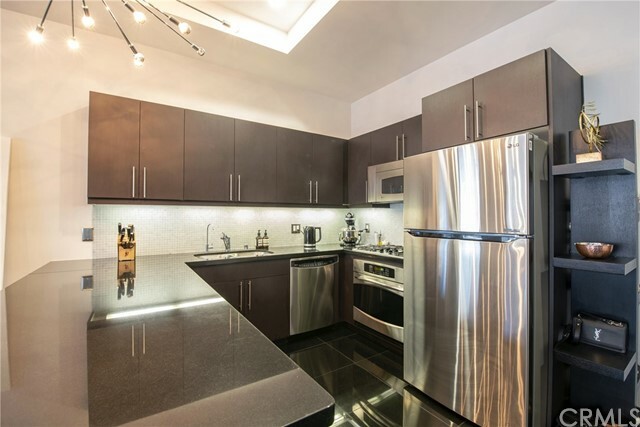 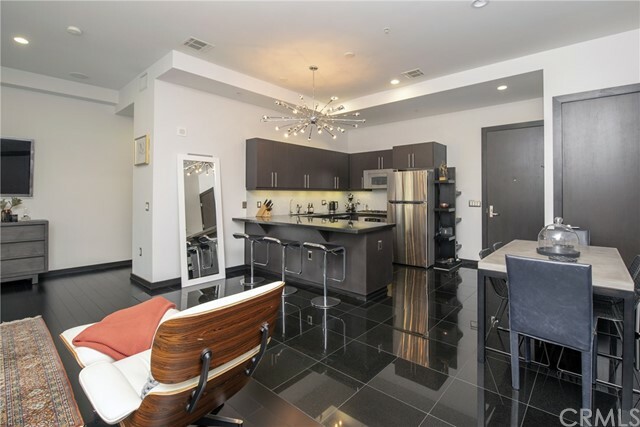 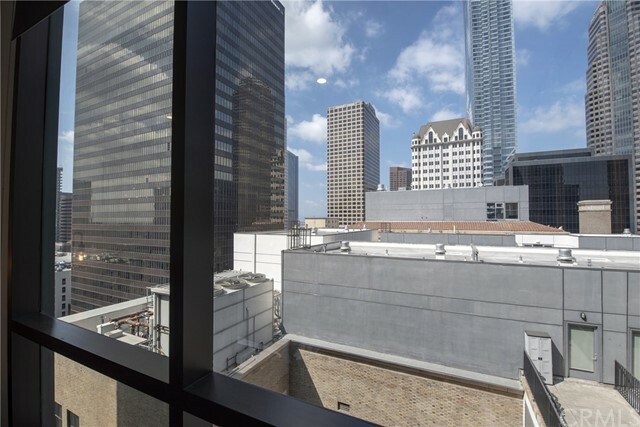 Amenities include an on-site, modern fitness center, 24/7 doorperson with secured building entry and parking. 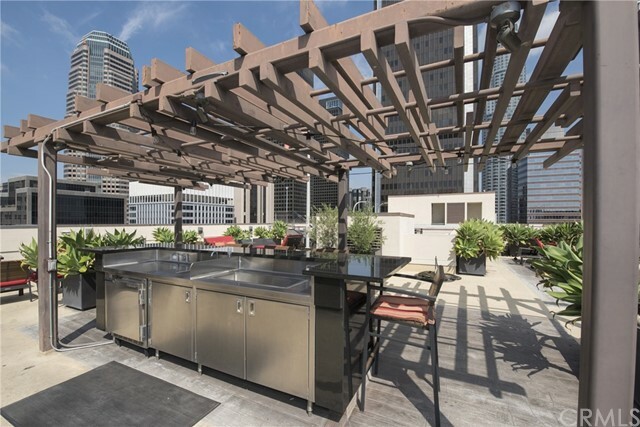 The crowning jewel of this property is a rooftop entertainment area complete with 360 degree views, a kitchen, BBQ, fire pit, wet bar and even a helipad! 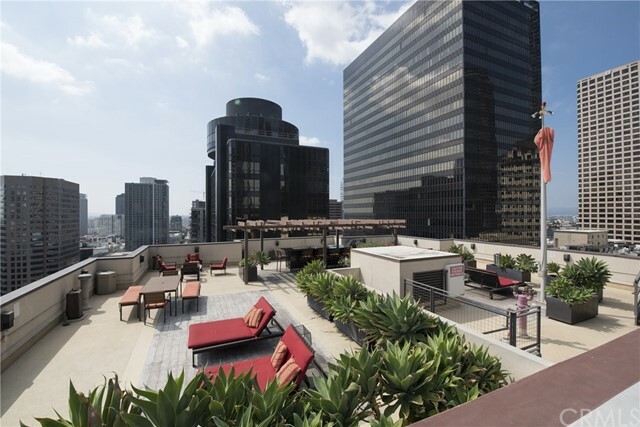 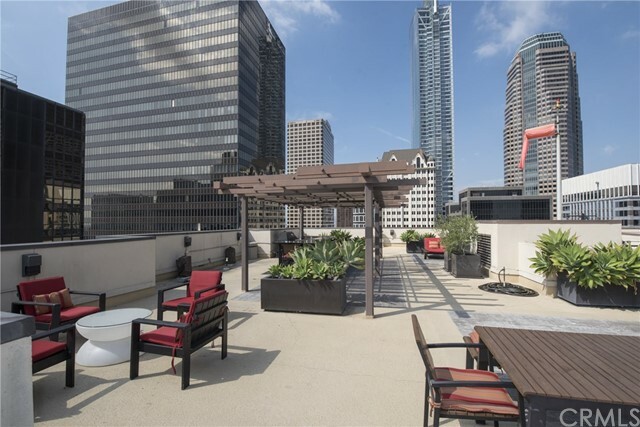 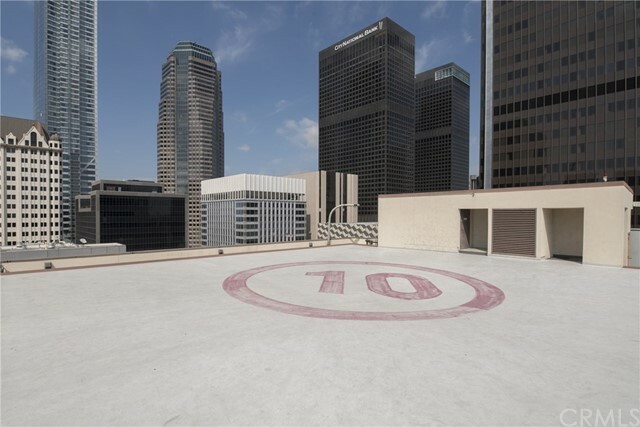 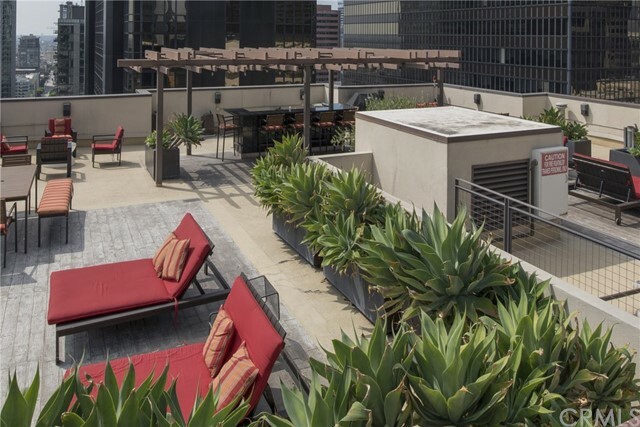 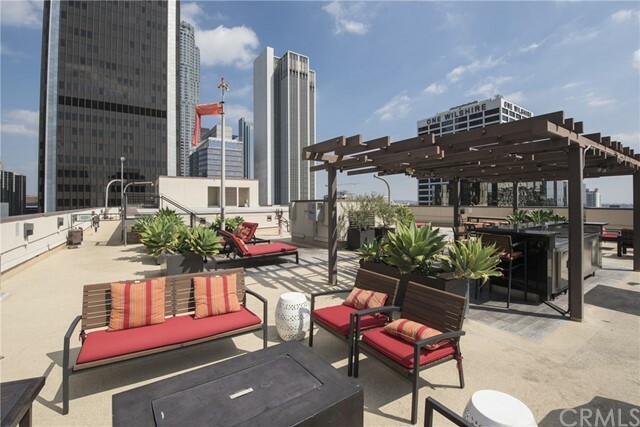 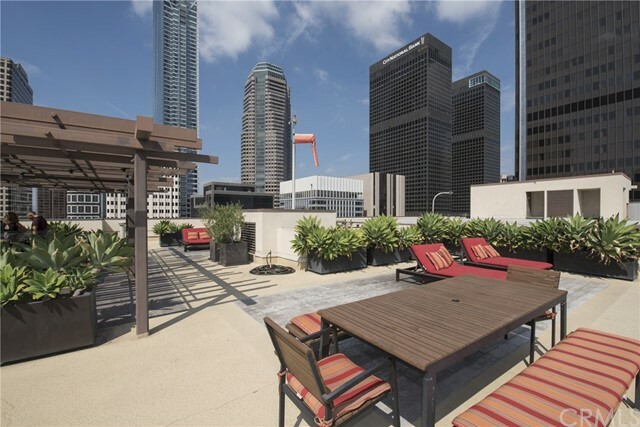 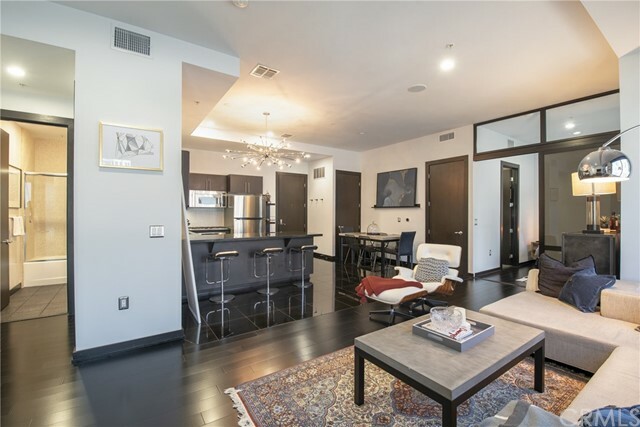 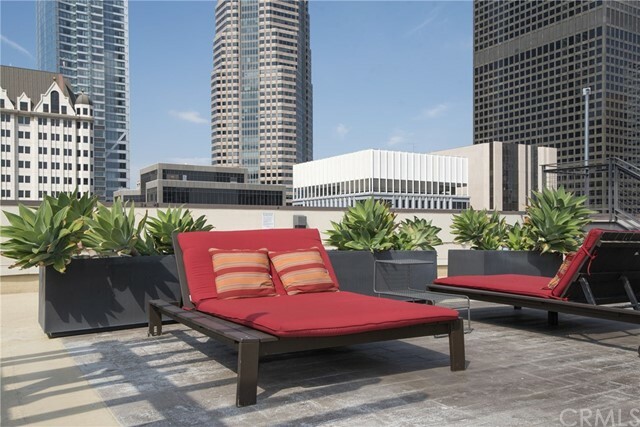 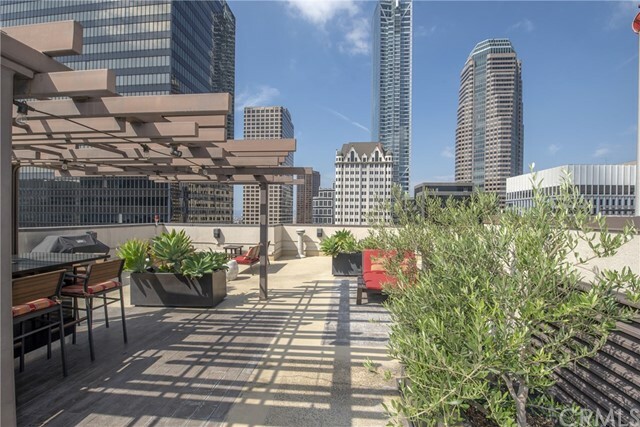 Located steps away from public transportation, Metrolink, Wholefoods, the FIGat7th shopping district, the BLOC shopping center and unsurpassed dining and entertainment – you will be in the center of everything DTLA has to offer.